1) Tell us about your family and where you have lived? 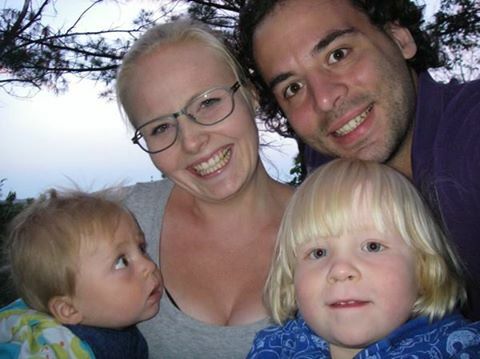 We are a family of five: mom, dad and three boys (6 years, 3 years and 13 months). I and my husband met in Athens, Greece, 2006 when we had our exchange year. A dark boy from Germany and a blond girl from Finland – what a match! Anyhow, we never lived in Finland or Germany as a family but our home is based in Sweden. 2012-2013 we had another awesome exchange period when we visited Madison, Wisconsin. 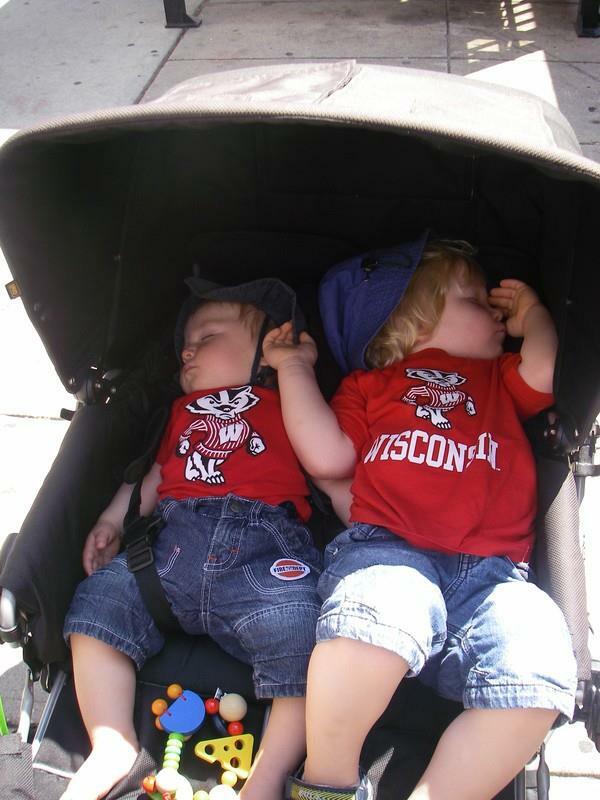 2) Why did you move to Madison and how did you break the news to your kids? We always wanted (and still do!) to go somewhere else, so we kept our eyes open for opportunities. Patrick met some famous professors from Madison through his work at the university and got an invitation! The kids (the age of 3 years and couple of months back then) got to know that immediately. The town we come from is full of families that come from or go to different countries. Because of that and because we travel a lot, it wasn’t a big deal to our boys. Also, they were small and easy to drag along since we didn’t need to think about schools and stuff. 3) Did you know anyone in Madison before you moved? Did you have a support network? How did you build one? Patrick knew only the professors before we moved to Madison. I didn’t know anybody! But already the first evening our oldest son found a German friend and we all became very good friends. They are now our youngest’s godparents! We were socially really active which was an effective way to build a network. We knew our neighbours, attended a mom group and a German playgroup. Furthermore, Patrick’s workmates were very helpful. 4) What was the hardest part about adjusting to a new place? Did anything surprise you? The paper work before the trip! Before everybody told us that Americans aren’t real and that they only talk without meaning what they say. I couldn’t disagree more! Americans are open and they open their homes for strangers too. That was a very positive and pleasant surprise. 5) What did your kids think of the experience? Our kids learned English and they still remember it. Our middle son said his first words in English actually: thank you, bye bye and share. He doesn’t remember our time there though. The oldest one remembers a lot and can suddenly start speaking about friends we haven’t mentioned for a while. I think the experience have made them even more open and social – they aren’t scared when meeting new people or when put in new situations. This entry was posted in Uncategorized and tagged expat, finland, germany, living abroad, Madison, sweden. Bookmark the permalink.